Deepblu is about sharing the love of scuba diving, freediving and the ocean. 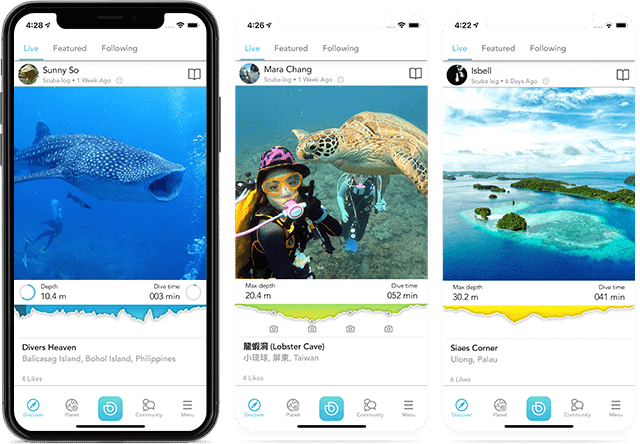 Connect with divers around the world on the fastest-growing diving platform. Find and book your next dive from the largest selection of dive experiences. Make the most out of your dives by preserving your dive memories with digital dive logs. Dive Computer designed and built for the new generation of divers to collect digital dive logs. Revolutionize your dives below the surface and continue your dive adventures above the surface on Deepblu. 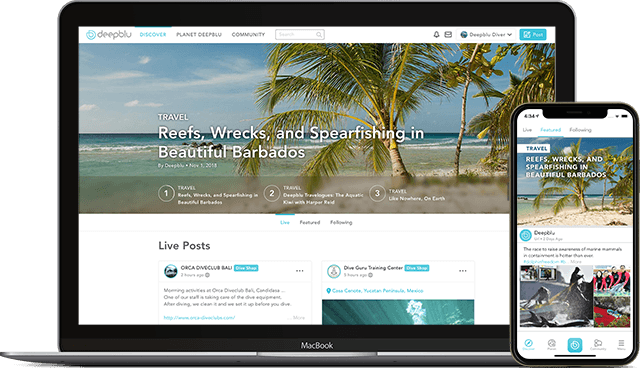 In Essence, Deepblu is a social community for scuba divers and freedivers. Record your dive experience while it is fresh on your mind and preserve memories you’ve created. Share your dive logs and connect with dive buddies around the world. 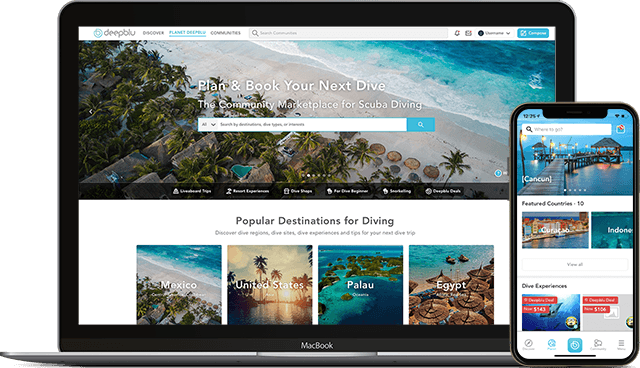 Share your dives and ideas with other divers around the world on the fastest-growing diver community. Join the conversation simply by writing a comment, making a post, creating a dive log, and uploading photos and videos. Create your own interactive digital dive logs with the best dive log app and logbook out there. Upload dive logs from various supported dive computers or by using Subsurface. Add photos, videos, notes and other details to your dive logs. Explore new countries, regions and dive spots through the lens of other divers and our in-house editors. Read stories and reviews from all over the world. Plan and book fun dives, certification courses and dive trips on Planet Deepblu. Capture your dive adventures and create memories with the most innovative dive computer. Get real-time dive duration, depth, NDL and much more. Record your every dive simply by wearing COSMIQ and taking photos and videos. Visit our website or download our app for free on the App Store and Play Store! … Setting itself apart from the competition by wirelessly syncing to the corresponding Deepblu app, the COSMIQ doesn’t just come into a class of its own, it’s reinvented one. 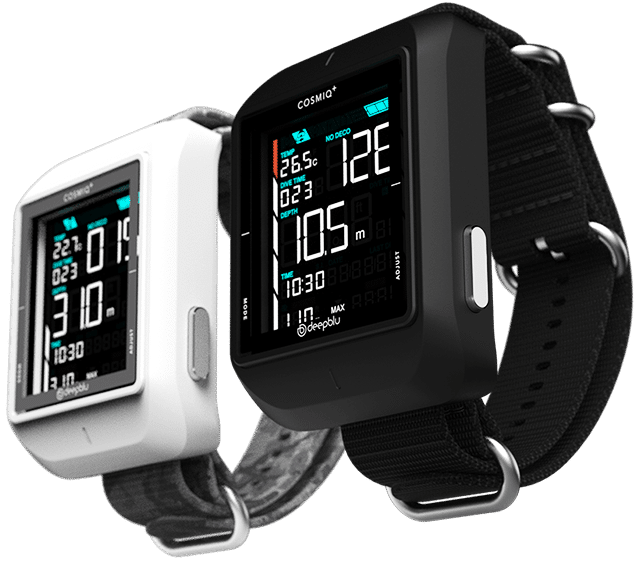 The COSMIQ+ is the world’s first dive computer with it’s own social network and app. I had the pleasure of diving with the COSMIQ+ on recent trips to French Polynesia and the Philippines and it performed beautifully. Over the last few years, with their interactive, online logging platform, Deepblu has made paper logbooks and homemade logs all but obsolete. 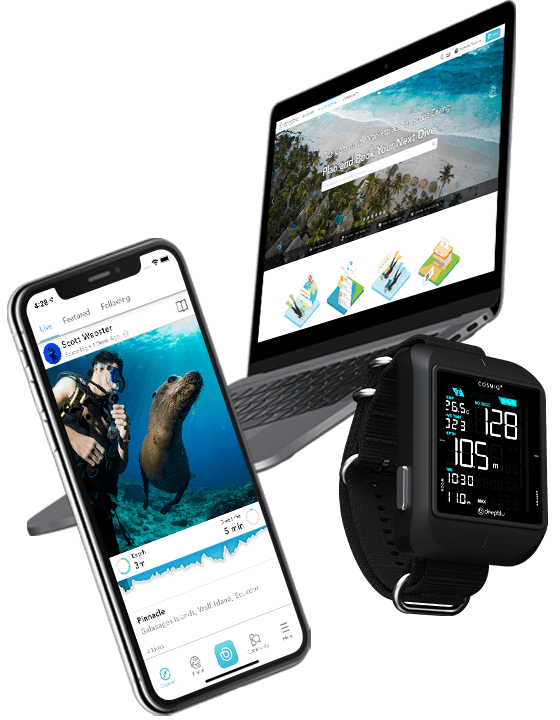 In a very short time, they have succeeded in connecting thousands of divers, becoming the premier platform for sharing the diving experience. If you aren’t already signed up, you should be. Your dive doesn’t need to end just because you reached the surface — Deepblu’s online platform displays your dive logs with an interactive timeline that tracks along with any images and video you upload, allowing you to share your underwater experiences with divers around the world.